As you approach mid-life, certain things might change that affect the way you want to spend the rest of it! Your kids could leave home, you may be bored with your current job, or it may be something more serious like a divorce or a family death that spurs you into action. Whatever your reason, we’re here to tell you that starting a career at 40 is possible! We’re going to show you some of the best career paths you can take at forty, but first, let’s look at what a career is, and why you want one! A career is defined as an occupation undertaken for a significant period of a person’s life and with opportunities for progress. If you want to be cynical about it, a career is another word for a job. However, it isn’t as simple as a definition, and you need to consider what you want from your career. A career requires a commitment to whatever subject you want to study, so it’s a good idea to explore something you’re passionate about. You may see your career as a learning exercise, and want to soak up as much knowledge as possible. Other people see their career as a money-making venture — they want to enjoy other things life has to offer such as holidays or material possessions — and a career is a way for them to do it. There’s also the aspect of progression, some people like to know they’ll start at the bottom and work their way to the top, it gives them more power and sense of achievement. So consider which of these definitions appeals to you the most, it could even be a few of them. Why Do You Want To Start A Career? Money isn’t an issue anymore — people work jobs they don’t like because they get more money, but if you can afford to do something you know you’ll love, do it! The size and value of the beauty industry is huge! Think about all the beauty products you own and how much they cost. Do you get your hair done, nails, makeup? The beauty industry isn’t going anywhere soon and is only set to get bigger. 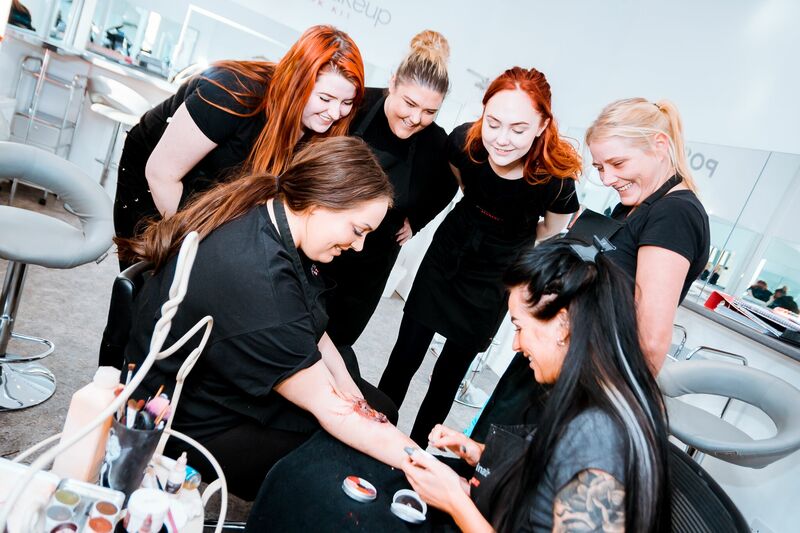 In tough financial times, the beauty industry has grown, it appears that even though budgets are tight that eyebrow tint or hair colour change can make all the difference to morale. There’s also variety in beauty therapy, one minute you could be waxing someone’s eyebrows, the next you could be giving someone a massage. If you love people, beauty therapy could be the career choice for you. If you like learning about other people’s lives, their jobs, motivations, children — as well as chatting about yourself! — you’d be perfect for this career. You’ll also be building people’s confidence and making them feel good about themselves. If you’ve got bags of energy, a desire to make a lot of commission-based sales and are resilient, recruitment could be the profession for you. If the stereotypes are correct women are better multi-taskers and listeners than men — which are vital skills in recruitment. You have to be able to listen to both clients (people who want you to recruit staff for them), and candidates (people you recruit for clients). You also have to be available on their terms, which often means dipping in and out of tasks throughout the day. There are benefits other than money in recruitment as well, you’re helping someone find something they need rather than selling a product. There’s also an opportunity to specialise, so if you’ve worked in retail before, you could focus on that. If you’ve got something you love doing and you think you can make money from it, you could try to do that. For example, you may be a budding writer or enjoy making DIY crafts like living space decorations. Make sure you know you’ll enjoy doing it on a full-time basis – you may enjoy baking at the weekend, but do you want to do it all week? Don’t quit your job straight away — you may find that you struggle to generate business to start with, or it may not happen at all. Try to start your business around your current job and see if there’s a demand for what you’re offering. Know your goal — if you know what you want to achieve from your hobby there’s a better chance you’ll be able to achieve it! For example, if you want 2-3 freelance clients for your design venture that bring in £1500 a month, it’ll make you think about how much you need to charge and what services you offer. If you’d rather sit on the sofa watching rom-coms and drinking wine, this one might not be for you. But hey, you never know, it might be the motivation you need to get yourself into shape! 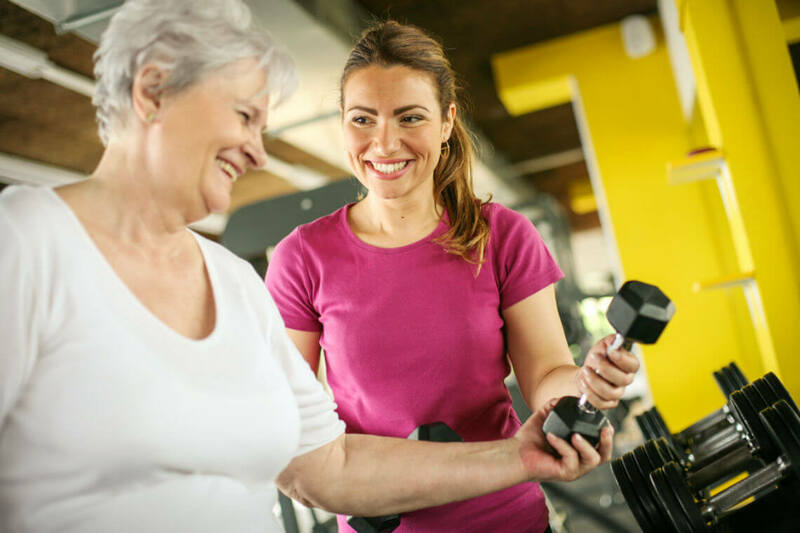 The best thing about being a personal trainer is that you’ll be exercising, on your feet talking to people and helping them feel good about themselves. That’s what it’s all about. It’s a double whammy, you keep yourself fit, eat well and do it for other people — who can complain about that? The downside to personal training is that a lot of the business is self-created, so if you’re no good at marketing and selling yourself you might struggle. Most PTs work for a gym and get to use the facilities in exchange for unpaid work. It may seem like an unfair deal, but if you charge £30 pound per hour session and have 5 sessions a day, you’ll be making a lot of money. Business is quite a vague term, technically, everyone that’s working for someone is in business. But if you go back to college or university and study a business related degree, you’ll be in a better place to work for a successful business. You can also study business admin NVQs which give you a hand into the world of business. This is more a route for those who want to work in corporate environments, maybe in sales or business development, HR or has ambitions to progress to directorial roles. Having a business qualification is attractive to an employer as it shows you’re interested in how a company operates and makes money. Social work can be a rewarding job, and there’s a lot of variety, from mental health services to family and childcare. You need to be mentally tough, empathetic and non-judgemental as you’ll deal with complex individuals and cases. To become a social worker, you would need to graduate from university, so there’s that to consider. You’d need to know whether the qualifications you have will get you into uni. But you may have a better chance of being accepted if you’ve worked in social care before. For example, if you work as a carer in a care home. If you like being on your feet, social work could be the job for you — you won’t be sat at a desk all day! We’d presume you have significant life experience by the time you reach forty! That’s why a counselling career could be the best route for you. Any organisation that takes on someone in a counselling role needs to know that they have enough life experience and emotional intelligence to help people deal with their problems. You need to be compassionate and caring, but you also need to be able to detach yourself from other people’s problems. Otherwise, you could develop mental health issues yourself. Think of counselling as a learning experience as well. The knowledge you’ll soak up from other people will alter your view of the world and improve your self-awareness. What do you want to gain from a career? Once you’ve considered these points and you know what your motivations are, you can start to think about what career you’d like to take. And remember, always do something you’re passionate about!